Find stillness and meaning in the simple wonder of nature. Comprised of three separate villas, spread across 10 bedrooms all with private bath, Hacienda Barrigona is both wonderfully private yet at the same time offers spaces for an intimate group to connect together. Given it’s proximity to the nearest amenities in the town of Nosara we have thoughtfully packaged our accommodations with three communal family style meals daily. Overnight accomodations start at $300 per guestroom per night, including three communal family style meals daily for two people. Meals offered are served family style and regionally sourced. Please be advised that meals are planned in advance and whilst we can most certainly accommodate gluten, vegan etc. only one choice is available for breakfast, lunch and dinner daily. Barrigona Take Over $2,495 per night for up to 20 overnight guests. Additional guests for larger events are priced per person, and up to 100 people. 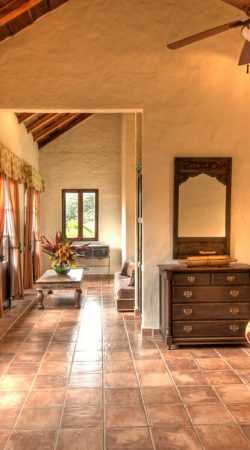 Comprised of three separate villas, spread across 10 bedrooms all with private bath, Hacienda Barrigona is both wonderfully private yet at the same time offers spaces for an intimate group to connect together. 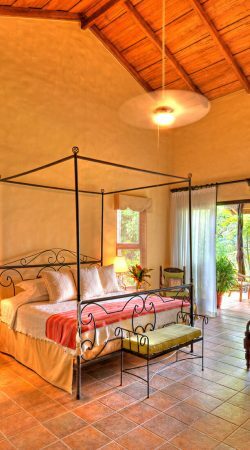 Your booking will include a private guestroom with bathroom at one of our three villas. 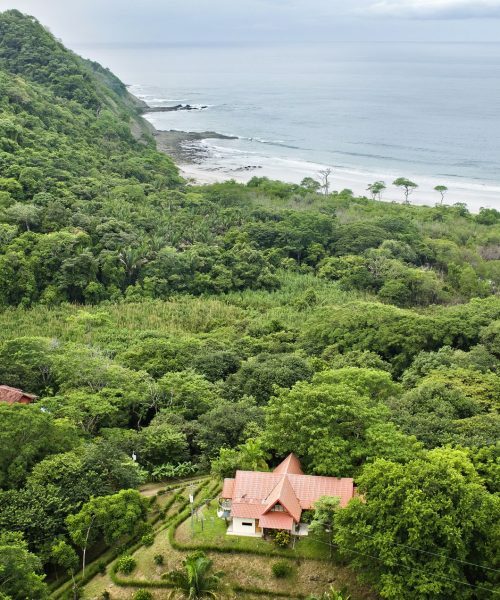 Architectural elements include high ceilings, rooms with wide doors opening to multiple verandas, native Costa Rican wood furniture and intricate stone carvings. It is a refuge of relaxation with a connection to nature and well-being in its soul. Spacious common areas consist of pools with lounge and BBQ areas, a communal open-air dining space, central courtyards and two Bali-inspired open-air studios specifically designed for yoga and meditation. 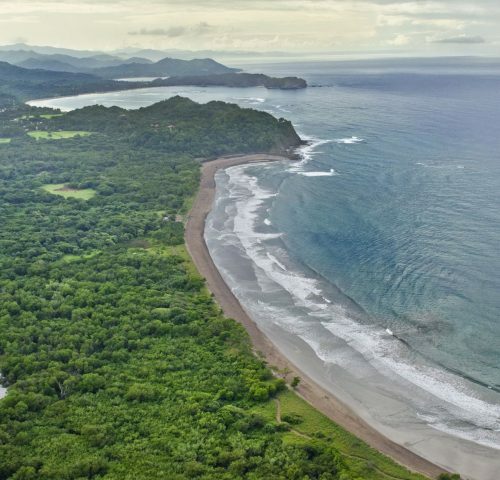 Immerse yourself in the jungle canopy and sounds of birds and monkeys via an easy walk down trails to the private and secluded Barrigona beach with its 700 meters of white sand. Plus, a plethora of hiking trails that could occupy days of exploration, lead right from the door and our local team can provide excellent resources on what fauna, flora and wildlife you can expect to admire.